You are here: Home » Happy Thanks-grieving! When I flipped the calendar over 15 days ago, my heart hurt. In years prior, it’s always brought feelings of gratefulness over my heart as I love thinking about Thanksgiving and then Christmas just around the corner. Even while overseas, we still managed to have some pretty fun Thanksgivings. This year though, November brings with it ALL THE FEELINGS. Last year, November and December were game changers in my life. I still remember laying in bed with a horrible case of bronchitis when my phone dinged with a message from my sister. Little did I know, those words would start this whole process that ultimately lead to me losing my dad less than a month later. Thanksgiving would be the last holiday that our family would spend with dad. How my dad managed to make that day I am sure was an act of his own sheer stubborn will, as he was not well. His body was so full of medications that were making him feel so bad, but yet he came. 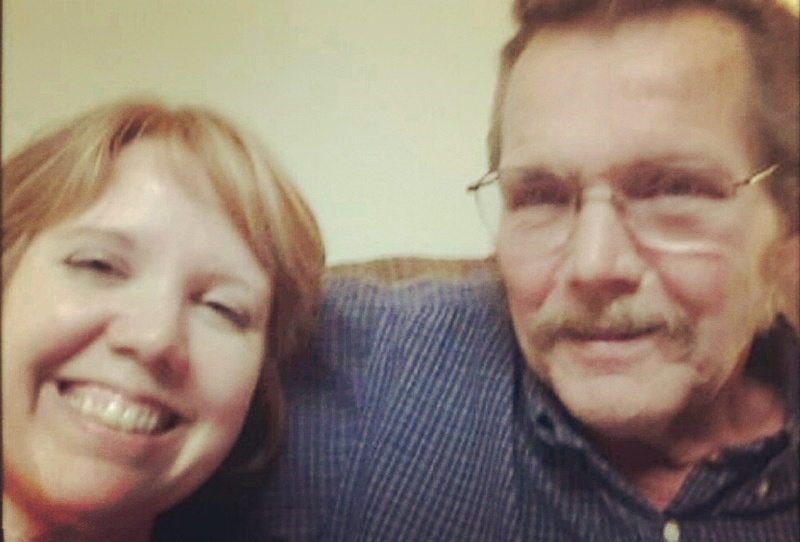 Because that was my dad…..he showed up even when he didn’t always feel like it. In Thanksgiving’s past, the desserts were usually pushed into a bedroom or later years my sisters laundry room off the side of her kitchen. It never failed that dad and I would find ourselves meeting in the dessert room at the same time. We would literally eat out of pans, while putting things on our plates. “Ooh, give me a few of them sis…..oh and a slice of that.” my dad would mumble as his mouth was full of a cookie. Someone would walk in and we would turn and he would shout…. “Get out, there’s nothing to see in here.” and we would laugh or try to hide it so no one else got it. We were so full from the dinner, but that didn’t stop us. The next day before dawn, when most people were Black Friday shopping and decorating their houses, I was sitting in the Cancer Center with mom while dad had a bone marrow test. While no words were spoken, we could tell that things were not looking good. I can tell you in that moment, I came to terms with the fact that my parents could die. I don’t really know that I ever allowed myself to fully go where my mind never wanted to go, but I remember coming home and falling apart in sobs on the bed. The days that followed were some of the hardest yet…..my parents last lessons to me and my sister of how to let go of them. My heart feels really raw right now as I walk this memory lane. I don’t even know who said it, but I loved it. It’s our memories that we draw comfort from and I am so very blessed that I have so many wonderful memories of my dad. I am glad that we had one last “run in” in my sisters laundry room over the desserts. 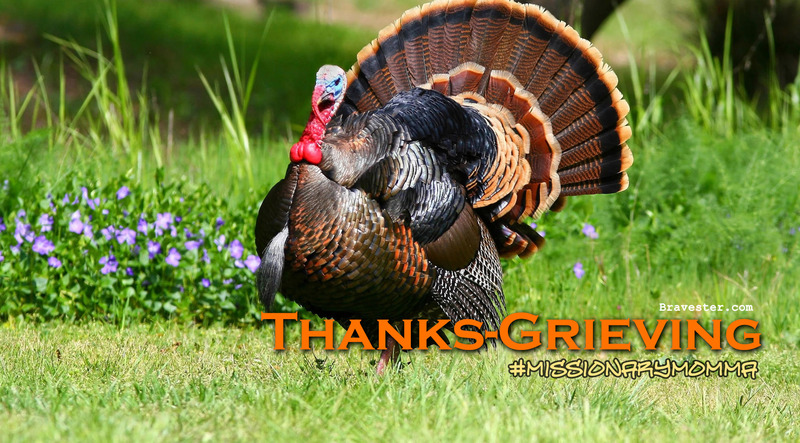 So this Thanksgiving, I am truly thankful for so very much…..really I am, but it feels a little more like a Happy Thanks-grieving instead. And it’s okay……because this heavy heart lost something very special and I am oh so grateful to have experienced such a love that makes it so hard to say goodbye too. Happy Thanksgiving in Heaven Dad…..I can’t wait to run into you in Heaven’s Dessert Room where you can show me ALL the good stuff! !